Lithograph by Mariette Lydis entitled "Dance of the Prisoners" in the series "Beggar’s Opera." 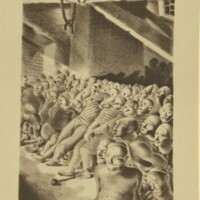 The lithograph depicts many prisoners leaning against each other. 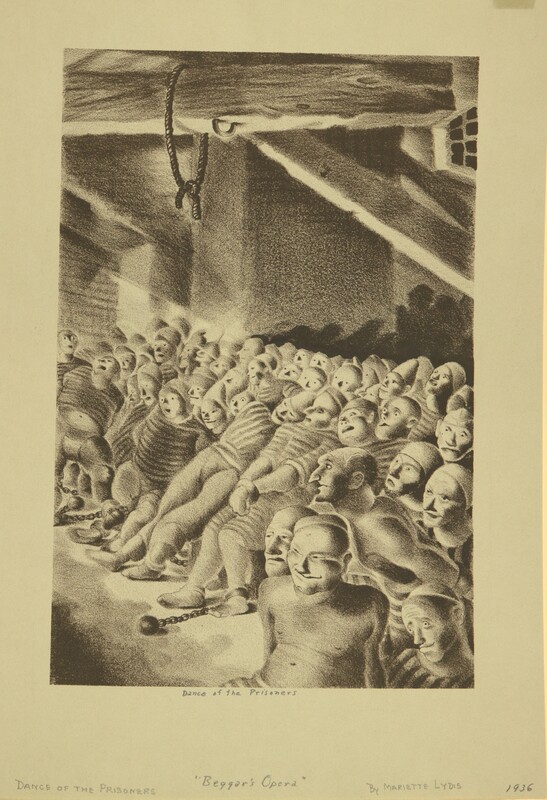 Some of the prisoners have a ball and chain attached to their ankle, and the prisoners are located in a room with a small, tied rope encircling a wooden beam.